So you want to own a Brittany? who makes a great hunting companion. Brittanys require only a few minutes of brushing to maintain their coat, though I find with my guys that every other day with a rubber zoom groom does the trick for most of the coat, and then for the feathering I use a metal comb. they love people and get along well with other dogs typically. However, every dog is different, so it's up to you as the owner to decide if adding another dog is best. 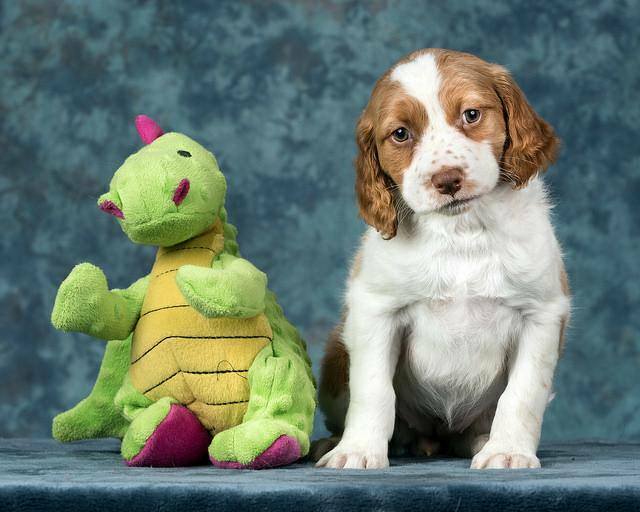 My puppies will be raised with my dogs and when they are vaccinated will start going out to visit with other (approved and known vaccinated) dogs. 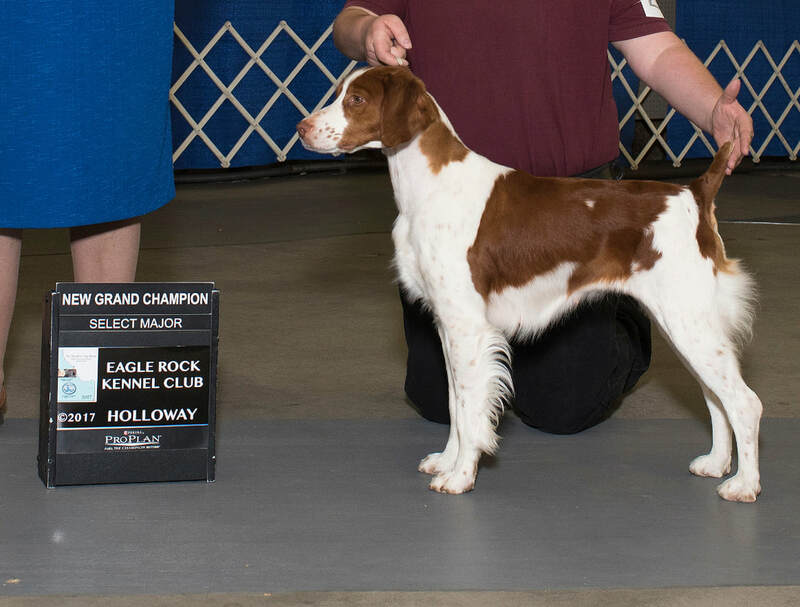 The Brittany has more Dual Champions than all sporting breeds combined, and breeders of this breed are very proud of that fact. These dog do best in performance homes, but with general active families do well as pets. I would prefer my puppies go to performance homes. May it be hunting, show, obedience, agility, barn hunt, etc. These dogs love to have a job, and can excel in multiple venue's of events. Even nose work and tracking, as these dogs have EXCEPTIONAL noses! But I would not object to putting a dog that may not be showing a lot of interest in hunting with a pet family who may not be interested in showing. To view more information on the dogs just click on their photo! Thinking of a German Pinscher? The German Pinscher is an old breed originally from Germany. These Pinschers (Pinscher literally translates to Terrier from German to English) are not for the first time dog owner or even for the leisure home. Unlike Brittany's, German Pinschers are smart (like the Brittanys), but they can be very stubborn, so early training is an absolute MUST and are typically recommended for experienced canine homes who are active in the world of dog sports, for as a general rule of thumb these dogs are very active and need a job to be happy. 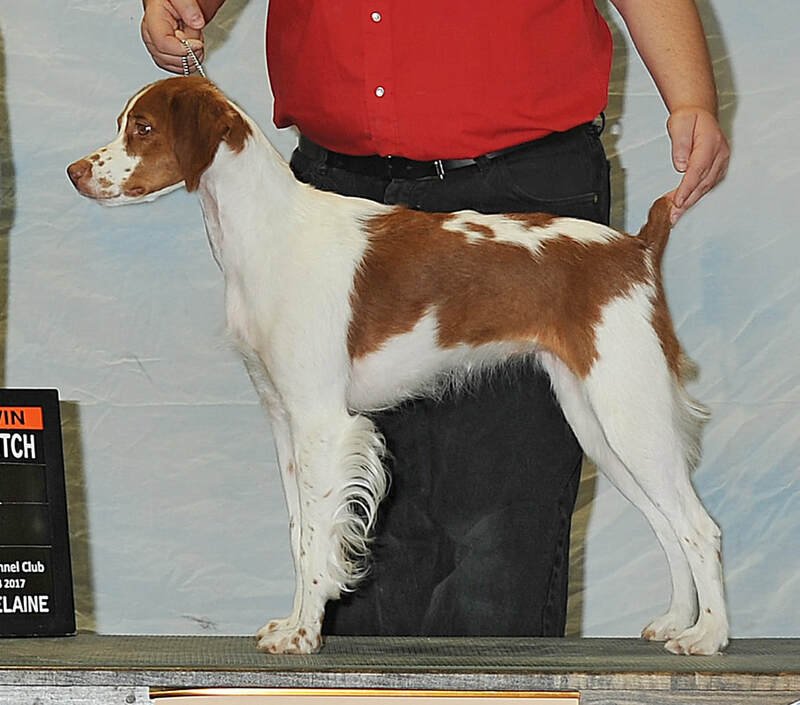 These dogs do very well in Obedience, Rally, Agility and Barn Hunt. They are generally friendly dogs but are known for their natural ability as a watch dog in the home and can be wary of strangers.